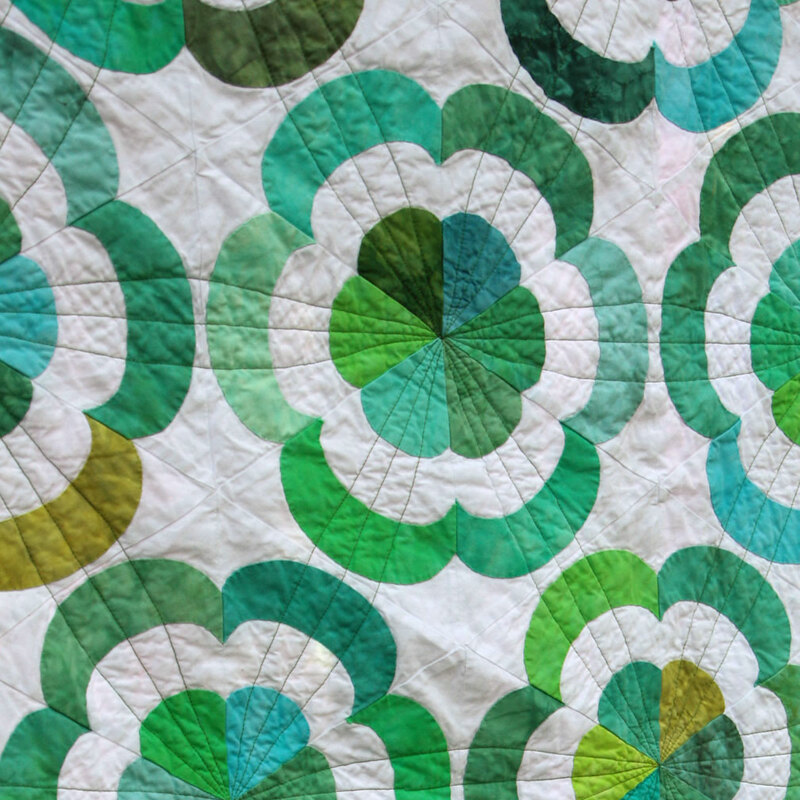 I made this quilt because I wanted to play with applique flower shapes, which was a lot of fun! 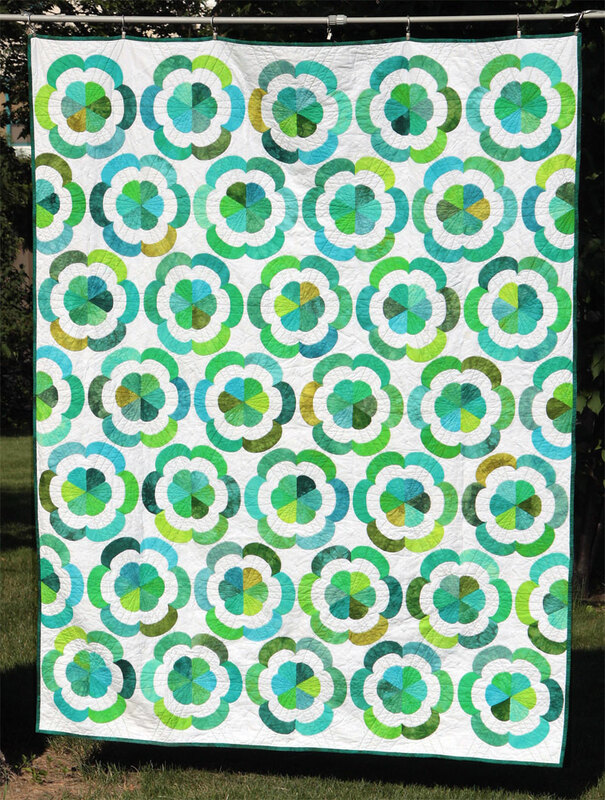 I combined turned-edge machine applique with regular piecing so there are no raw edges. 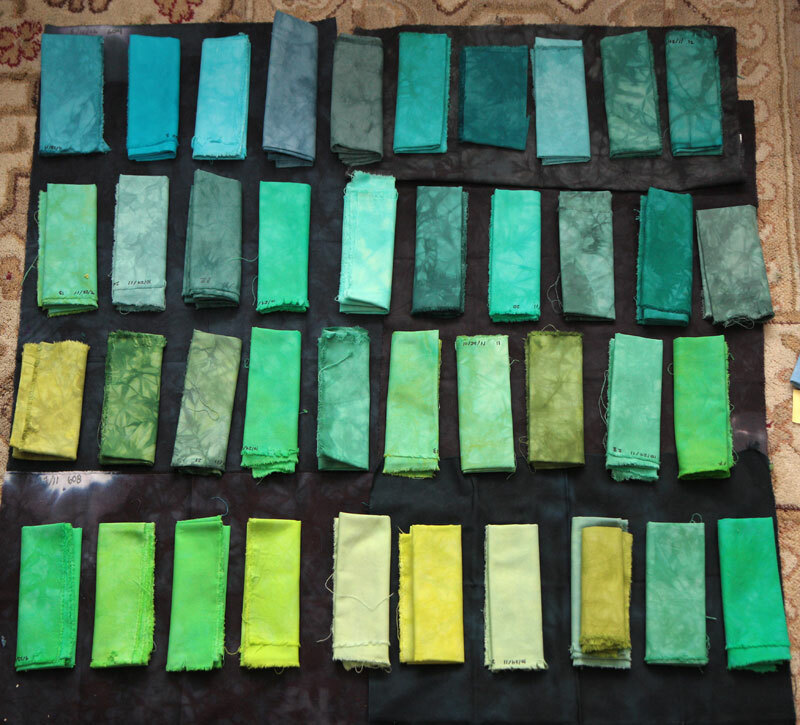 I used entirely my own hand-dyed fabric for this quilt, and it was a lot of fun playing with the dye to get the large variety of colors that went together! 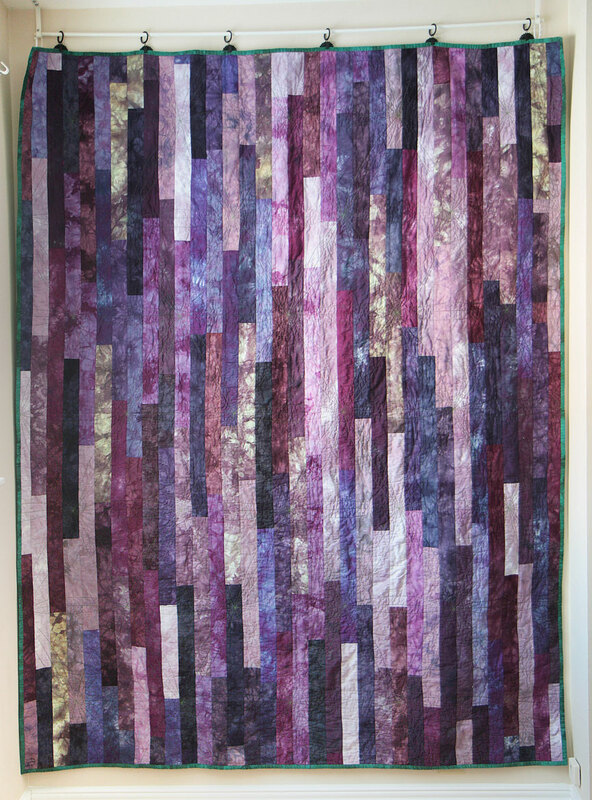 For the backing, I had a large stack of purple hand-dyed fabrics that were stagnating, so I cut them all up into 2.5″ strips and jellyroll raced them together. This is a very common backing technique for me!